BWA plans to publish a handy guide book and/or online resource for walks of the Southwest Region; mainly circuit day walks and multi-day bushwalks, and mostly of minimum 15km length. 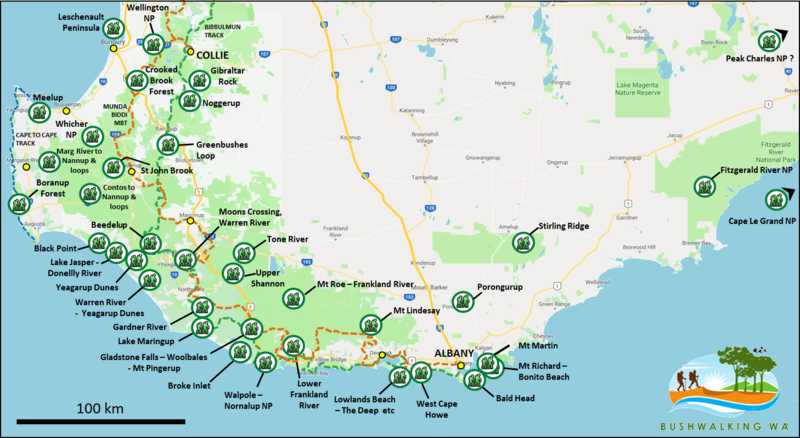 These will mostly not duplicate bushwalks that are already online elsewhere, but will include some loops off the Bibbulmun Track and Cape to Cape Track. They will give experienced walkers opportunities and motivation to reach many excellent locations in the southwest that are bypassed by the Bibbulmun Track. Many of the walks will intentionally be reasonably adventurous to give walkers opportunities to challenge themselves beyond the more developed trails. The book will help restore some excellent, long-overlooked SW walk areas to the schedules of today’s bushwalkers. Since starting the project in April 2018, we have initial walk summaries including maps and GPS files for around thirty excellent walk possibilities in the SW Region (see map and list). These walks visit at least 18 national parks ranging from Wellington National Park in the north (near Collie) to the various NPs along the SW and southern coast. 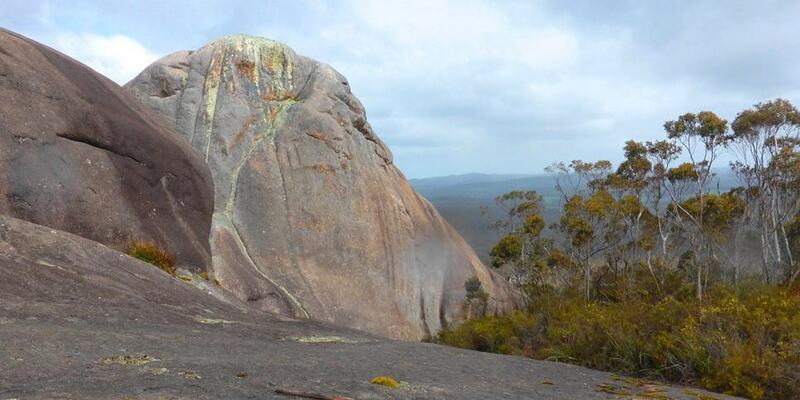 More good walks are to be added to the list following a successful BWA workshop with experienced bushwalkers that was held in Albany in mid-September 2018. All the walks need re-testing as the suggested routes are mostly substantially changed from previous ones in the areas, such as those in the 1985 “Forests on Foot” book. If you are keen to contribute to testing the walks or to providing information about these or other walks from your own past experience in some of the areas, do contact us now! Crooked Brook Forest <1-2 17 Forest Reserve?